The former Palazzo Torrigiani has been known as La Specola, 'the observatory' ever since Grand Duke Peter Leopold install one on the top floor in the 1770s. In 1775, he made it the home ofthe Museo Zoologico, the world's first scientific museum open to the general public. This has a charmingly old-fashioned collection (mostly accumulated by those arch-acculumators, the Medici), of nearly everything that walks, flies or swims, from the humble sea worm to the rare Madagascar aye-aye or the swordfish, with an accessory case of different blades. The 17th-century stuffed hippopotamus once prowled the nearby Boboli Gardens as a Medici pet. 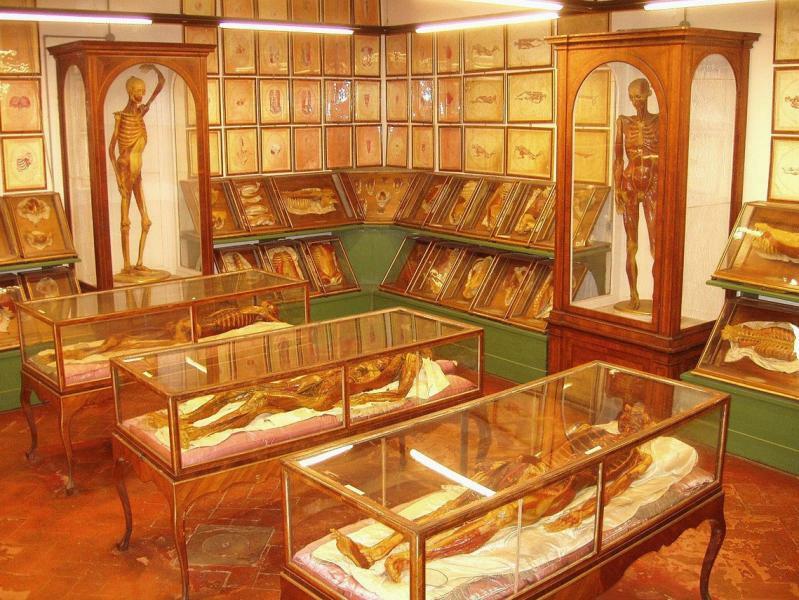 The real horror show stuff, however, is the World's Largest Collection of Anatomical Waxes, in Rooms XV-XXXIV. 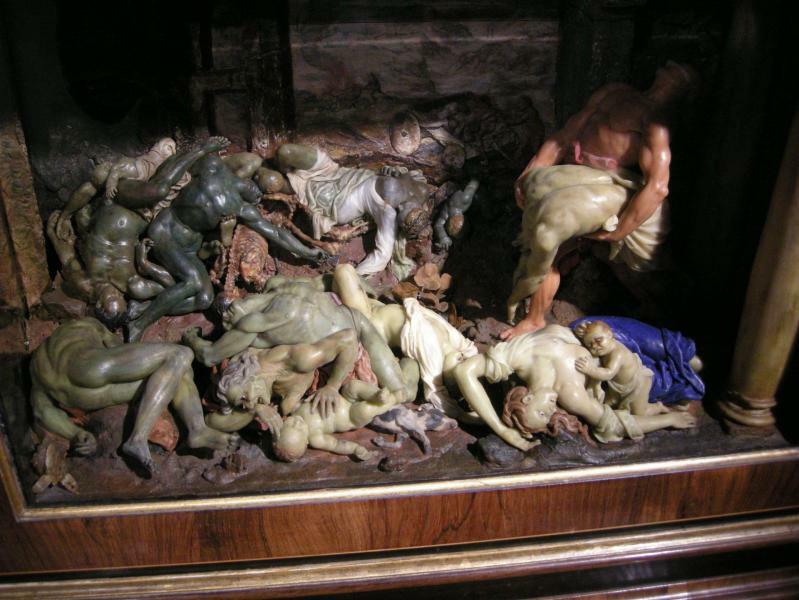 Dotty, prudish old Cosimo III was a hypochondriac and morbidly obsessed with diseases, which his favourite artist, a Sicilian priest named Gaetano Zumbo, was able to portray in wax with revolting realism for his patron to fret over, copying many of his figures directly from corpses. Others were made by sculptor Clemente Susini for Peter Leopold as medical teachings aids. They were a popular sight for 18th-century Grand Tourists. The handsome Neoclassical Galileo Tribuna has a statue of Galileo, busts of his followers and ceiling frescoes on famous incidents in his life. Upstairs, Peter Leopold's astronomical observatory, the Torrino has a Sundial Room and octagonal room for a 360 degree view of the sky and Florence, housing more Medici bric-à-brac and wax models of flowers. Adm €6, €3 ages 6-14 and over 65. Combined reduced priced tickets with the Museo Galileo available. The ground floor skeleton collection is open by appointment only.